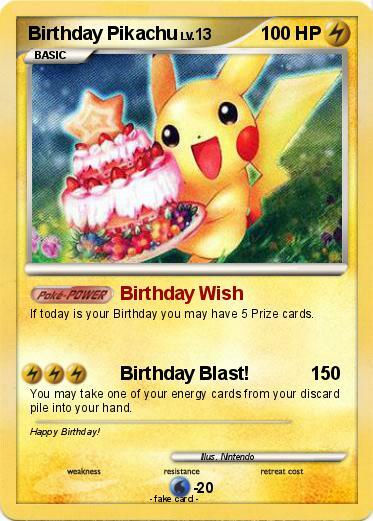 If today is your Birthday you may have 5 Prize cards. Attack 2 : Birthday Blast! You may take one of your energy cards from your discard pile into your hand.